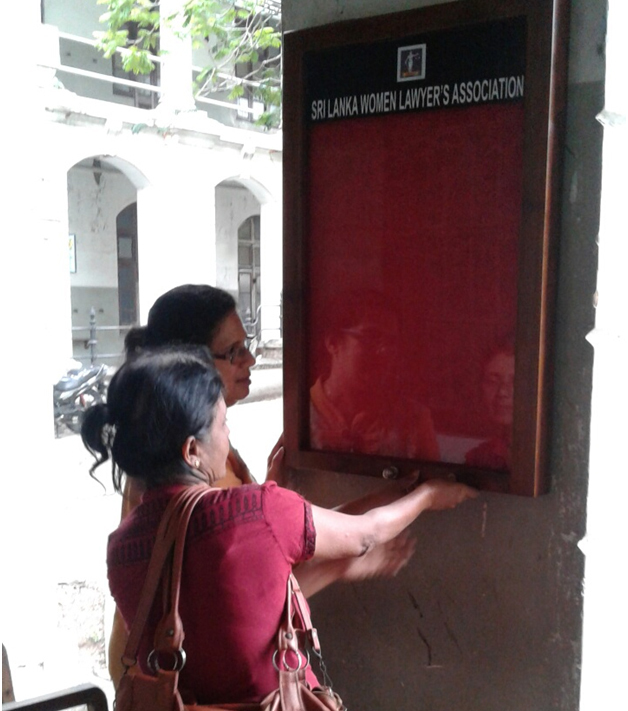 Notice Board of Sri Lanka Women Lawyers' Association has been arranged near the Ladies Room of District Court building in Hulftsdorp and it was ceremonially opened in December by Mrs. Berney Alwis, the president of the Association. 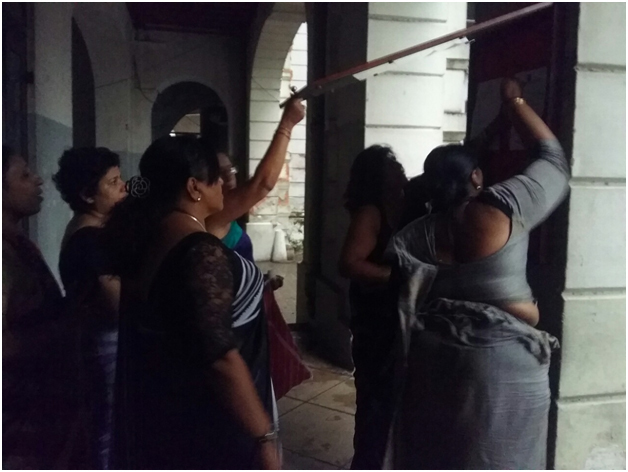 Ms. Chathurika Wijesinghe, Past President, Mrs. Sandhya Thalduwa, Vice President, Ms. Swarna Jayaweera , Secretary, and Ms. Priyadharshini Gunasena, Treasurer, Mrs. Kumudu Ariyaratne, Asst. Treasurer and Mrs. Mihiri Fernando, Committee member also participated.